Gurgaon, May 2014: She was a queen, wife to no less than the mighty Pandavas; yet she was a woman in a patriarchal society who held little sway over her own fate. ‘Draupadi’ might have lived in another era, but the fate she endured continues to befall numerous women in India and across the world even today. 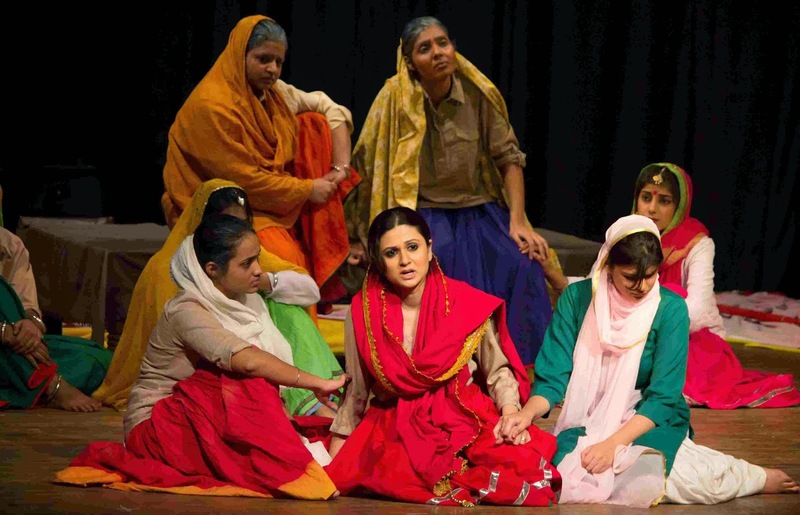 he Films and Theater Society, the play is written and directed by contemporary writer Atul Satya Kaushik and is based in a Haryana village in 1960. 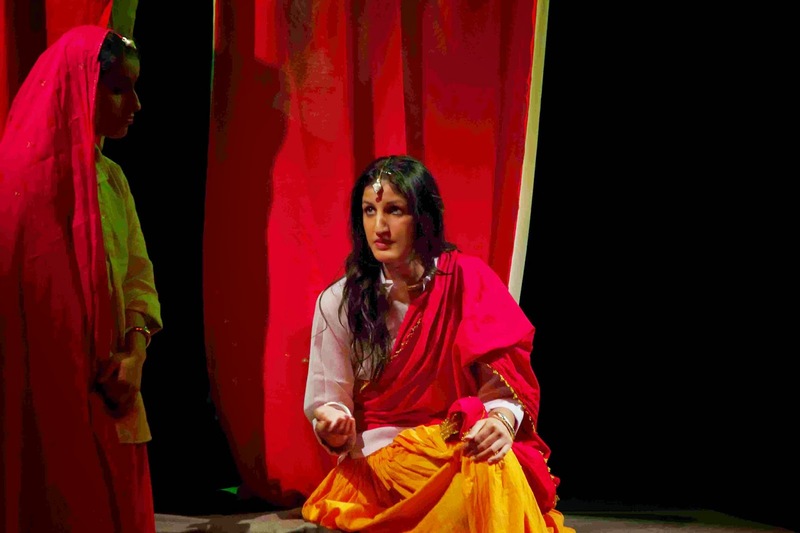 ‘Draupadi’ is an imaginative re-telling of certain chapters of Draupadi'a life that juxtaposes the life of the queen of the Pandavas in a contemporary setting, drawing parallels between her and the women of today. With the men of this large family of Haryanvi rural performers gone out to attend a wedding feast, the women of the household decide to use the opportunity to re-enact an old play that was ‘banned’ by the male patriarchs who thought it would corrupt the minds of women. Performing the play, the women take up the roles of all characters including men and reprise the tragedies of their own lives. In the process they discover how closely their lives are a reflection of Draupadi's life. This intense story unfolds in an incredibly light and seamless way and makes the production a literary marvel presented in a visually delightful manner. Like all other productions of the society this play is also high on folk music. It’s an out and out musical play with many songs of different styles such as Ragini, Qawwali, Ghazal, Heer etc; and tries to narrate a serious issue in a light way. The seriousness, however, is not lost and the play becomes a powerful commentary on the need of women emancipation. By bringing today's generation closer to mythology in a new and interesting way, the play makes them draw important meanings from it. 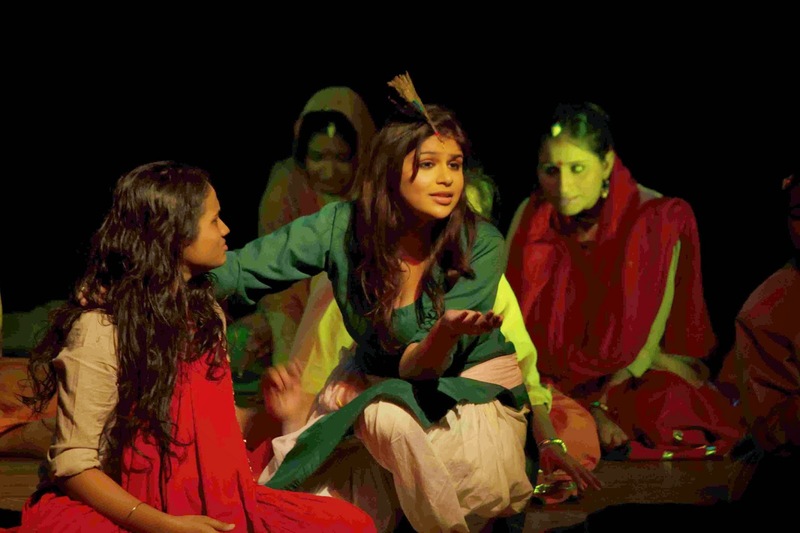 Be it Draupadi’s failure to find the love of the man she chose, her objectification in the gamble played by Yudhishtir or her public humiliation – the village women manage to find parallels for each of these tragedies amidst their own lives. In the end the women draw the conclusion that even if centuries have elapsed, nothing seems to have changed as far as their fate women is concerned. “Draupadi is not just a mythical character, she’s a metaphor for women of all times and ages. There is no dearth of Draupadis in our world; they are everywhere – be it in the villages of Haryana, in the thriving metropolitan of Delhi, in the slums of Mumbai, on the streets of Ahmedabad or in a village of Khyber Pakhtoonkhwah. This play talks about the helplessness of being a woman in a male dominated world which most of the women must have felt even today,” says Shri Kaushik. The play is garnished with light hearted jokes and one-liners peculiar of Haryanvi life-style and hummable and rustic Haryanvi Ragnees. 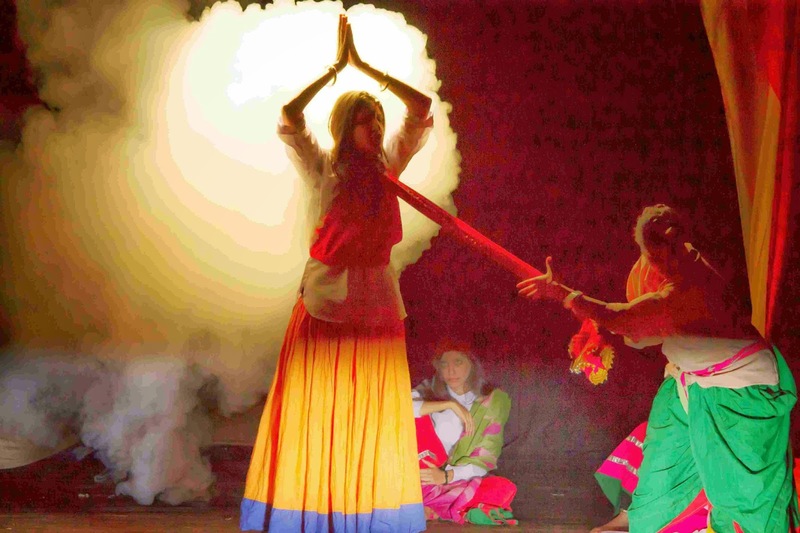 It was first performed at the Sri Ram Centre, Mandi House on 28th July 2013; and has since then been staged at the L.T.G. Auditorium, Delhi; Central Park, Connought Place, New Delhi as well as M C Ghiya Hall, Kala Ghoda Arts Festival, Mumbai. This is the play’s first staging in Gurgaon. The play will be performed at Epicentre, Apparel House, Sector 44, Gurgaon at 7.00 pm on May 4.